Need to finance your new Snapper Trailer? Not a problem. Our financing partners offer a range of options to fit your needs! Trailer Solutions Financial offers attractive rates for all of our trailer options provided you meet the criteria below. NOTICE: All applications with credit scores below 530, and monthly gross income below $1,700 will automatically be rejected. If you do not meet these minimum requirements do not apply as it will only add another inquiry to your credit report potentially further lowering your credit score. During business hours (Monday- Friday) credit decisions will be made typically within two hours of submission. Trailer Solutions will contact you or Snapper Trailers with a credit decision. We have partnered with Direct Capital, a direct lender, which delivers simple, fast, and cost-effective financing options for our business customers. With their help we can get you the equipment and technology you need to drive growth and revenue for your business. If you have had your business for 24 months or longer, this may be a great option for you? We are a professional financial services provider specializing in trailer financing and other recreational equipment loans. We offer a safe and efficient finance process with tailored items to dealers and retail customers. We are located in Colleyville, Texas, and finance customers all across the United States. FLCC Financing will find the optimal loan or lease option for you. FLCC Financing offers simple, fast and convenient financing with both loans and leases available. 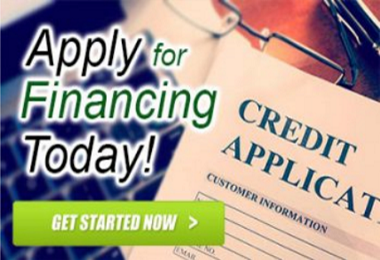 Once you qualify, financing is available in minutes. We’ll work with you on an individual basis to create a repayment program perfect for you. Once we have verified that you have been approved for financing and the funds have cleared, you can drive away with your New Snapper Trailer from any of our Locations.